If you have a job interview coming up, I want to give you 12 questions to ask in a job interview so you’ll sound smart and you’ll look interested in the job. Now, before I do that, I only want you to ask questions that you feel comfortable asking. Don’t just ask questions in your interview because you saw some guy on the internet, in a video and he told you that you should ask these questions. Only ask questions that make sense to you, that feel comfortable for you. Because if you ask every question that I mentioned in this video, it’s going to create a very awkward moment for you and your interviewer and I guarantee you your interviewer is not going to be impressed. So, how do you know what’s a good question to ask? Well, you want to ask questions that are going to help you make a decision about whether you want this job or not. If it doesn’t, then it’s not a good question. Now, I created another video on this topic; just the opposite; “Question Not to Ask in an Interview” and those are all the ‘Me type’ questions and you can watch that video. I’ll probably posted at the end of this one. But in this video, we’re just going to focus on questions to ask that are going to help you make a decision about whether you want to work there or not. For starters, never ask stupid questions. Now, I know you’ve been told your whole life, people tell you there are no stupid questions, “Don, you can ask anything”. Yes there are stupid questions and you don’t want to ask stupid ones. I’m just going to show you the right ones to ask. You only want to ask questions in a job interview that are going to help you make a decision about whether you want this job or not. And when you go into the interview, you should be interviewing objectively. You shouldn’t have already been decided that you want this job. You should ask them questions, grill them on some questions; don’t overwhelm them, but hit them with some questions that are going to help you make that decision. Let’s look at some questions that you might want to ask. Remember, I said might. Only asked questions that feel right for you. Don’t ask questions because I said to ask them. Make sure they help you qualify the employers a place you want to be. Okay? First question; Can you tell me more about the day to day responsibilities of this position? This is your chance to learn as much as possible about the rules. You can decide whether this is a job you really want or not. By learning more about the day to day tasks, you will also gain more insight into what specific skills, strength are needed and you can address any topics that haven’t already been covered. Next one; Who do you consider your top competitor and why? So, you have to be careful if you ask who your competitor is. It’s probably better if you’re interviewing at a smaller, regional company; something that’s not national or international or as well known. Be careful with that question. And this goes back to ask only questions that are going to help you decide whether you want to work there or not. I mean, if you’re interviewing at Amazon, it’s obvious that you really want to work at Amazon and if the asking who their biggest competitor is, is their answer really going to help you make a decision about whether you want to work there or not? No. You already know you want to work there. So, don’t ask them that question. That’s a stupid question to ask Amazon, but it might make sense to ask a different employer. Makes sense? Okay. Next one; What do you like best about working at this company? This is a really great question because it puts your interviewer in a personal mode and it gets them to tell you on a personal level, what they like and it’s almost like they’re trying to convince you and sell you to come and work here. Because they’re like, “Oh, yeah. This is a great place. The company really cares about the employees. We have company picnics, we have profit sharing. It’s a very warm, family type of company and you would just love it here. There’s selling you on working there. But asking this question, you can put them in a mode that kind of forces them to sell you on coming to work there. They’re convincing you to coming to work here and that’s what you want. You want them to try to convince you to come work at this company. I don’t think you can go wrong asking anybody that question. Next one; What do you think the most important qualities for someone to excel in this role? So, what does that really mean? This question can often lead to valuable information that’s not in the job description. It can help you learn about the company culture and expectations, so that you can show you’re a good fit. Alright, number five; What are the biggest challenges facing your department right now? So, basically you’re asking, “Are you guys haven’t any problems? What are you struggling with?” This question can help you uncover trends and issues in the industry and perhaps identify areas where your skills could save the day. So, here’s the great part about this question. If they tell you some of the problems that they’re having, this is your opportunity to step up and say, “Hey, I understand that problem that you’re having. I had that problem at my last job. Here’s how we dealt with it and it worked out great. Here’s the solution”. So you’re basically acting as somewhat of a consultant in the job interview and you’re showing them that you understand their problems and you’re giving them advice on how they can solve those problems. When you show them that you’re a problem solver, that’s the kind of person they want to hire. They want to hire someone who has ideas about how to solve problems. Because if you think about why are they even looking to hire someone in the first place, they’re looking to hire someone to solve problems that they have. They have problems, they are looking to you for a solution for a problem; whatever it is. So, if you could prove that you know how to solve problems in the interview, show them that you understand the problems, you’re back in the thousands; you’re doing great! So, next one; How do I compare with other candidates that you’ve interviewed for this role? This can be a bit of a tricky question. This can show that you were insecure when you ask this question. This can be risky because you don’t want to put the interviewer in an awkward position. However, if things are going well, you’ve built a strong rapport, this question can help you see if there are any concerns or issues that you could address, so that you can show them why you’re the best person for the job. Now, typically, when I ask this question, I save this for end. This is not one of the first questions I would ask. I would ask near the end of the interview, after we’ve already established a rapport and if I feel comfortable asking this question; I may or may not. It just depends on how I feel in the interview and what I and what I sense from them. So, if I’m feeling a little uncertain about myself or are uncertain about how they see me, then I might ask, “How I compare with the other people?” But if I’m have a good, strong interview and I feel really good about myself, I may not even ask this question. So, again, do it if it feels right for you at the time. Don’t just ask the question because some guy in a video on YouTube told you to ask the question. Alright, next one; What are the next steps in the interview process? And this will get them talking. This will tell them that they might say, “You know what? We have a few more people to interview or “You know what? You’re the last person. We’re done interviewing. We’re going to bring back second rounds of interviews next week”. So, perfect! Your follow up to this, depending on what they say, is, “Hey, do you mind if I follow up with you in a couple of weeks” or whatever. Time your follow up with whatever they tell you. And the whole time, when you ask this question, you’re gaining some insight into their own internal timelines; this would keep you from waiting. Like they say, “You know what? We’re not going to make a decision for two months”. 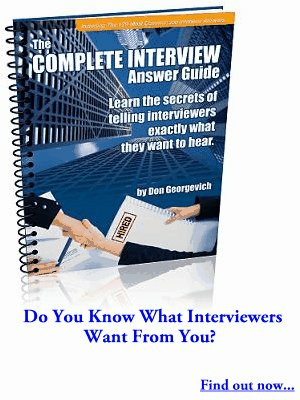 Then this is valuable information for you because now you can go out and interview with other jobs a little bit more freely knowing that these people aren’t going to be ready with an answer for two months and if you get an answer from another company to start in a couple of weeks, then that’s great. You don’t even have to worry about these guys. So, you have to play it off and you have to use all of the data that you collect intelligently. Let’s move on to the next one. What are your expectations for the role during the next six months? I love this question. I almost always ask it. This will show them that you are putting yourself in the role, you’re trying it on for size and you’re saying, “You know what? Where do you guys see this going? What would you like to see from me in six months? And then that’s going to create another conversation point for you and then you can decide how you want to handle that depending on what they say. Alright, next question. Have you determined the salary range for this position? Now, I’m going to tell you, there’s a whole bunch of people out there that will tell you, “Never talk about salary in a job interview” and there’s a right time and a wrong time. Most people who say that, they don’t know what time to ask. I’d like to ask this question the very first chance I get. So, when they call me up on the phone they say, “Hey, Don. Are you interested in this position? We’d like to bring you in for an interview. I might ask, “Hey, what’s the salary range for this position?” or “Have you determined a salary range for this position?” and they’ll either say “Yes” or “No”. If I haven’t asked this question in a job interview yet and I go to the first interview, this is not one of the first questions I would ask. If I did ask it in the first interview, I would wait till the very end. And it would be because I felt very comfortable asking the question and it’s going to help me move forward with this employer. Let’s say I’m looking for $80 thousand and I ask them, “Hey, what’s the salary range?” and they say, “Well, the salary range is about 50 thousand for this job”. I’m just going to raise my hand right there and say, “You know what? This is not for me” and that’s why I like to ask that question right off the bat, so I can find out if I even want to go to the first interview. But if you didn’t do that, if you didn’t find out what the salary range was, ask in the first interview, near the end, but only if feel comfortable. If it feels awkward for you and you’re not getting some good vibes from your interviewer, don’t ask it. Just don’t ask it. Save it for the second interview if they call you back. But it is a fair question, it can be a risky question. Some employers, I don’t know why, but they seem insulted by that question; I don’t know why. I mean, you’re there to talk about what you can do for them and you’re going to exchange services for money, so it’s good to know what the money is. If you ask and they get insulted about you asking that question, maybe they just weren’t the right place for you in the first place; maybe they have some other weird ideas. I don’t know. But it’s a fair question to ask. Save it for the end of the interview. So, next question; Where do you think the company is headed in the next five years? This is one of those questions in a job interview that maybe you want to ask and maybe you don’t; it depends on the company. So, if you go to Amazon and you say, “Hey, where are you guys headed in next five years?” They’re going to be like, “Well, we’re going to own the world in the next five years”. So, you have to be careful who you ask this question to and it has to help you make a decision about whether you want to work there or not. I think the reason that you would want to ask a question like this is to decide if their course of action feels good for you. Like if you disagree with where they’re going in the next five years, then you could use that as criteria to disqualify them as a place you want to work or maybe feel like where they’re going maybe like this new, cutting edge direction and that helps you make an informed decision about whether you want to work there or not. So, this question; maybe you want to ask it, maybe you don’t; it has to feel right for you and the answer has to help you make a decision about whether you want to work or not. So, maybe you’ll ask it, maybe you don’t. Next one; Can you describe the company culture? Good question. You can almost always ask this to anybody; Amazon, Google, IBM, Apple. It doesn’t matter. Now, if you ask it at apple, “What’s the company culture?” I think everybody knows that the culture at Apple is pretty laid back and relaxed. So, maybe you want to ask what the culture is in the department because they’ve got to figure that Apple has some micro cultures, depending on where you’re at; whether you’re in engineering, sales, product development. I don’t know, I’ve never worked there. I’m just guessing. But big companies will have micro cultures. So, you might want to ask what the culture is in this department compared to other departments or often so the same. Or if you’re interviewing at another company and they maybe have 50 or 100 people, it’s a fair question to ask in a job interview. What’s the culture around here? Could you describe it? What do you like about it? What don’t you like about it? Now, again, the answer to this question has to help you decide whether you want to be there or not. If they tell you that our culture is very formal, we require that you wear a suit and tie every day at work. You might say, “You know what? That’s not the place I want to be. That’s not the culture I want. I’m looking for something a bit more relaxed and laid back. And maybe that resonates with your personality and that’s the place you want to be. So, use the answer to help you make a decision about where you want to be. Alright, next one. What are the biggest opportunities for the company right now? So what does that really mean? The answer to this question is going to help you figure out what the focus is of this company and where they’re going. And again, does this help you make a decision about whether you want to be there or not. Maybe it does or maybe it doesn’t; I don’t know. For some of you, I know the answer to this question is going to help you decide where you want to be. Maybe they don’t have any big opportunities on the horizon. They just kind of sailing along the status quo, maybe that’s not good enough for you, maybe you want more, maybe you want something that’s cutting edge, that’s going up all the time, that the company is out there trying to seize opportunities; it depends. It depends on your personality and what you’re looking for. So, maybe you want to ask this question, maybe you don’t. So, I’ve just giving you 12 questions that you may or may not want to ask. Some of those are universal and you can ask them any time; some of them, depending on how comfortable you are or some of them might not even help you make the type of decision that you need to make about the job. I do have more these questions in a Complete Interview Answer Guide. I’ve got a whole bunch of about 30 or 40 different questions out there. These are not 30 or 40 questions that you want to ask, they’re designed to help you determine your own list of questions. Because your list of questions that you want to ask somebody is going to be different than somebody else’s. So, only ask questions that are important to you and that will help you make a decision about whether you want to be there or not. Watching your videos help take the anxiety out of the questions that are asked because they make me think about the answers and prepare before the interview. I’ve been listening to your videos. I’m preparing myself for an interview for nursing leadership at where I work. I find these modules helpful. Thanks! !